These displays are designed to mount on the ceiling, alternatively provided with a standalone base. Standard colors are black or white, special requests due to corporate colors or transparent designs can be realized. The display offers the opportunity to show product information, videos, sound, slideshows, references to a homepage, additional services or outstanding conditions. All appliances are programmed to an automatic endless loop, therefore the screen starts automatically in the programmed replay mode. SD cards or USB devices can be used as storage mediums. 3 standard designs are available, custom-made upon request. M2 AD 3/10 - Multimedia shop window display for mounting on the ceiling, white or black glossy panel (130x27cm), 3 A4 folder cases, 10" multimedia display for video/slideshow/sound, automatic endless loop, infrared remote control. 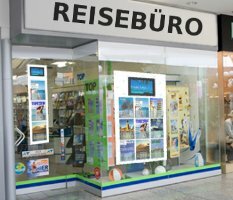 M2 AD 6/15 - Multimedia shop window display, white or black glossy panel (130x60cm), 6 A4 folder cases, 15" multimedia display for video/slideshow/sound, automatic endless loop, infrared remote control. M2 AD 9/22 - Multimedia shop window display, white or black glossy panel (160x98cm), 9 A4 folder cases, 22" multimedia display for video/slideshow/sound, automatic endless loop, infrared remote control.